We are brothers and sisters in Christ who share a common heart to know God, see the Gospel furthered via The Fulfilled Mission, and to serve to the utmost. We're from missionary backgrounds and from the ordinary middle-class; we're single and we're married; we serve full-time and we serve part-time; we like Linux® and we like Windows®; we're quiet programmers and we're adventuresome travelers; we're computer-game-players and we're musicians. But most of all we love God and seek to worship Him with our lives! See also our LightSys Associates and volunteers. We're Greg and Dorinda Beeley. Greg is president and co-founder of LightSys, and this ministry has been an incredible faith-journey for him, following a calling from God that he's had since a life-changing missions conference in high school. He's a Christian, a worshiper, a visionary, and a techie, ever seeking new and creative uses for his computer technology skills, particularly in software & networking systems and in computer security. Greg is a '96 grad of Taylor University. Dorinda serves as Director of Mobilization, and is excited to see others find their place in technology and missions work. Greg and Dorinda met at the ICCM Conference in 2003, and were married in 2009 after a whirlwind courtship (thank you Skype for helping span the nearly 2000 miles between us at the time!). 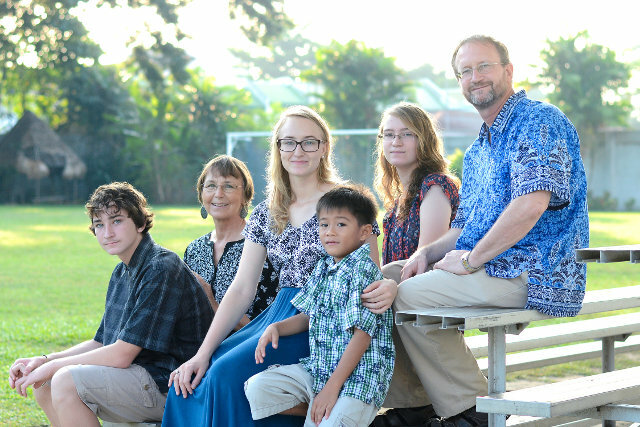 They and their three children now serve and travel together with LightSys as they seek to further God's kingdom and mobilize others to join in and do the same. 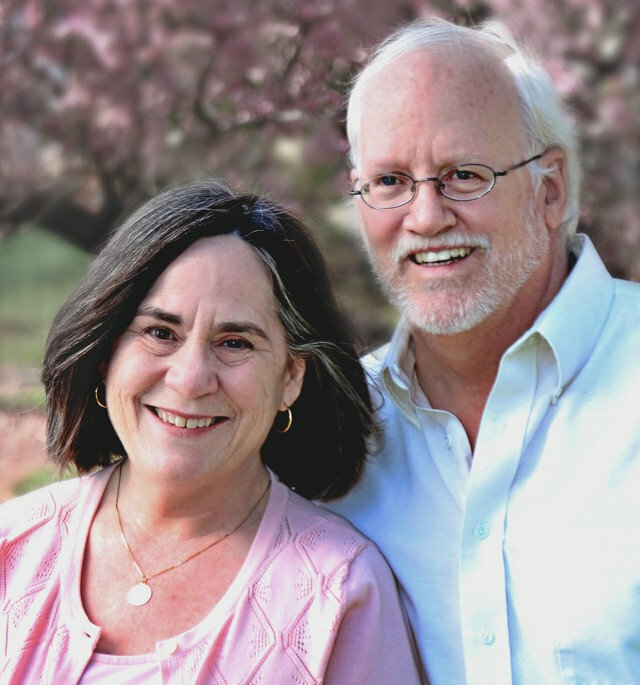 We are Tim and Patricia Young. Tim is a field consultant with LightSys. They travel most of the year, visiting one mission organization a week and helping out with their computer needs. Patricia does many things, from volunteering at the mission we are visiting, to making a temporary home for us everywhere we go. She also does some paperwork for LightSys as we travel. For some years, we traveled in a motor-home, but found that our reliable car was much less stressful to drive than the motor-home. We now travel around in our car and live with missionary families or guest-houses of the missions we are ministering to. Our home is in Red Wing, Minnesota. People ask us why we winter in Minnesota, and it is because it is such a good place to hibernate. When we live in other people's houses for 8 months of the year, it is a joy to return to our own place. While most people want to go somewhere for their vacation, for us, it is stopping going places that helps us rest up. Minnesota in the winter encourages us to lock ourselves into our warm house, cuddle by the heater, and rest up. Come spring, our friends start inviting us over to do things, and our time of hibernation is over. We're Kevin and Heidi Weaver. We're been full time with LightSys for several years now. Kevin has about a dozen years of prior experience as a Windows network engineer, working primarily with the missions Bibles International and Crossworld. Now we are missionaries serving many agencies, as opposed to being employees serving only one. Kevin's strong points are Windows Servers, Active Directory, Exchange Servers, server hardware, firewalls, and overall security issues. Heidi's strong points are arts and crafts. She is learning how to research and teach science from a Christian perspective. Kevin is a former Army officer and seminary graduate. He felt the call to missions back in 1994, when under the tutelage of some Navigator missionaries in Germany. He went on trips to Jamaica, Latvia and West Africa before realizing that the best place he could serve vocationally is in computer support. We attend Faith Community Church of Roslyn when we are home in the Philadelphia area. Currently, we are somewhere else about two-thirds of the time, serving at a mission agency HQ somewhere in the United States or Canada. We’re Kurt and Beth Symanzik. We have been serving as missionaries in the Philippines since 2006 and have been serving with LightSys since 2013. We have 4 children: Mikayla, Kirsten, Benjamin and James. Kurt is a software engineer with over 20 years experience in a wide variety of computer systems. During the last 10 years Kurt has specialized in building custom web applications for mission organizations. 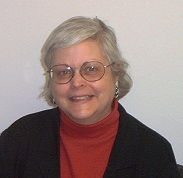 Beth has a bachelors degree in social work and is currently pursuing her masters degree in counseling. Beth has a heart for providing support for missionaries who are experiencing the challenges of cross-cultural and ministry pressures. Bill Dickson passed away in August 2017 in a tragic auto accident. Be praying for his family and the rest of the LightSys team. We're Bill and Linda Dickson. 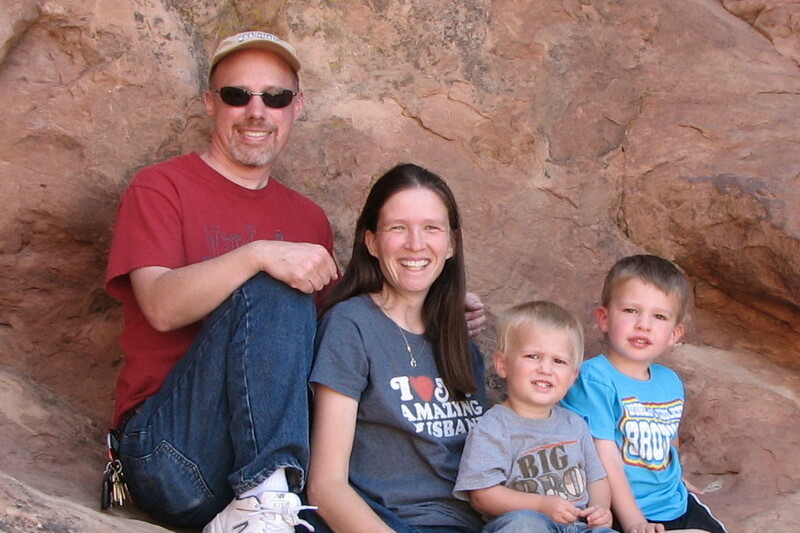 We're new to LightSys but feel like we've been part of the LightSys family for years: Tim and Greg helped Bill do missions computing back in the 1990s, and the Youngs have often stayed with us while serving in the Colorado Springs area. Bill has been helping mission organizations worldwide in areas of technology and research since 1982 through the U.S. Center for World Mission, DataServe, and Global Mapping International (with a continuing role as a GMI Global Fellow). 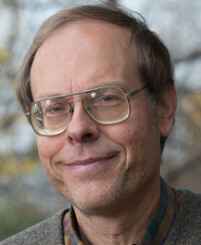 Bill trained as an Electrical Engineer with concentrations in Computer Science and Communications Systems. A computing generalist, he has design and implementation skills in Windows and Linux, email and web servers, Microsoft and open-source office suites, databases, GIS and other data visualization tools, electronic publishing, content management systems, and e-commerce. Growing edges include learning the iOS and Android mobile platforms and dusting off long-dormant coding skills. Linda is skilled in early childhood and elementary education, with particular skills regarding speech delays and language disorders. She is also an early adopter of technology for working with these students and their parents on needed skills and for tracking educational progress. She has done educational assessments in many languages through interpreters and is fluent in Spanish. She is also very skilled at explaining technical concepts in non-technical language. Now that our kids are out of the house, we look forward to traveling and working together for part of the year; situations where Kingdom workers have both technical and educational challenges are likely not rare. After serving with Global Mapping International (GMI) for nearly three decades, Kathy joined LightSys in the summer of 2017 after GMI closed its doors. 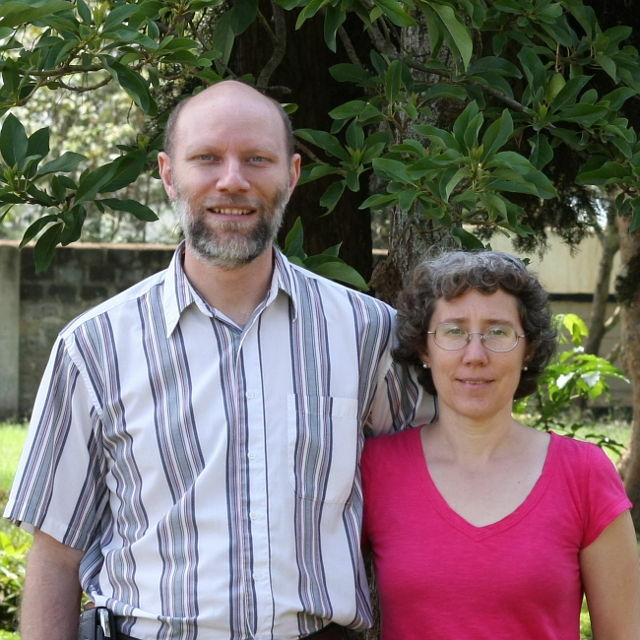 A software developer, Kathy works on software projects, including an upcoming update to the Mission Infobank website, that help missions and church leaders more effectively pray and strategize for the work of the Gospel around the world. Loren joined LightSys in the summer of 2017 after serving with Global Mapping International (GMI) for over three decades. After having assisted with ministries such as the Global Ministry Mapping System, Operation World, and many other strategic resources for various mission groups, Loren now serves the mission community with his cartography skills as a member of LightSys.